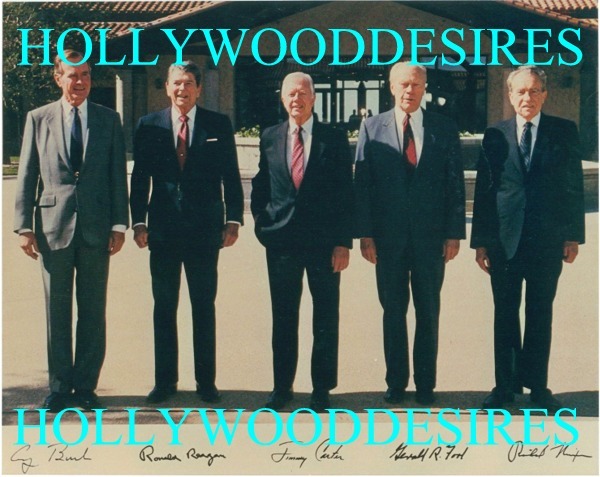 True history is this professional signed picture of 5 U.S. Presidents including: George Bush, Ronald Reagan, Jimmy Carter, Gerald Ford and Richard Nixon. Excellent reproduction directly from the originals. Autographs are preprinted within the glossy 8x10 and shipped very secure, waterproof with a clear firm plastic photo protector and includes a certificate and guarantee. Get yours today.THIS TEXT WILL NOT BE ON YOUR PHOTO text will not be on the photo you receive.